 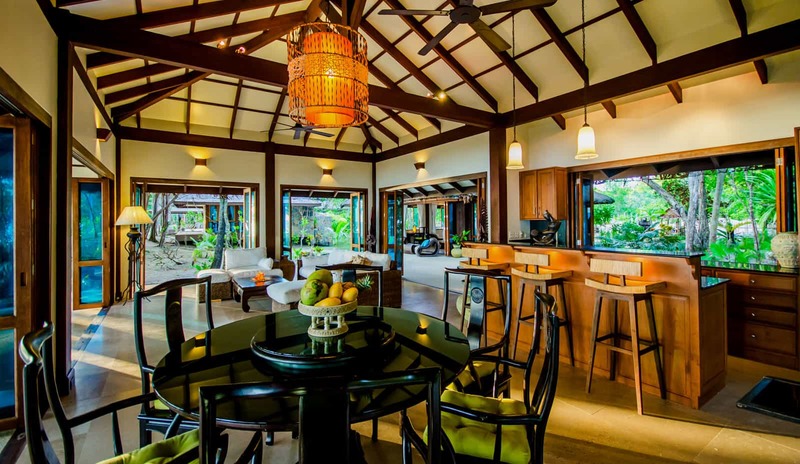 Located only twenty meters from the beach with direct views onto the famous Phi Phi National Marine Park this two bedroom beach villa offers a private lush tropical garden of two thousand square meters with direct beach front, spacious living room with an open kitchen and fully stocked bar. 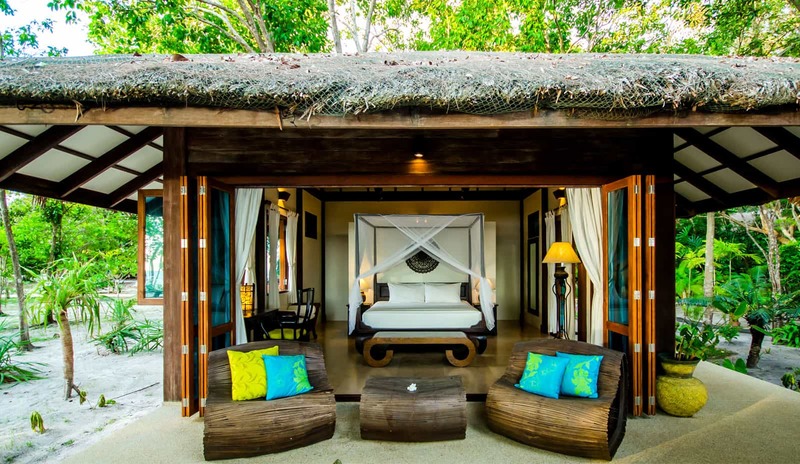 Baan Viva has two semi-detached bedrooms which makes it an ideal villa for friends and family seeking a little more privacy. 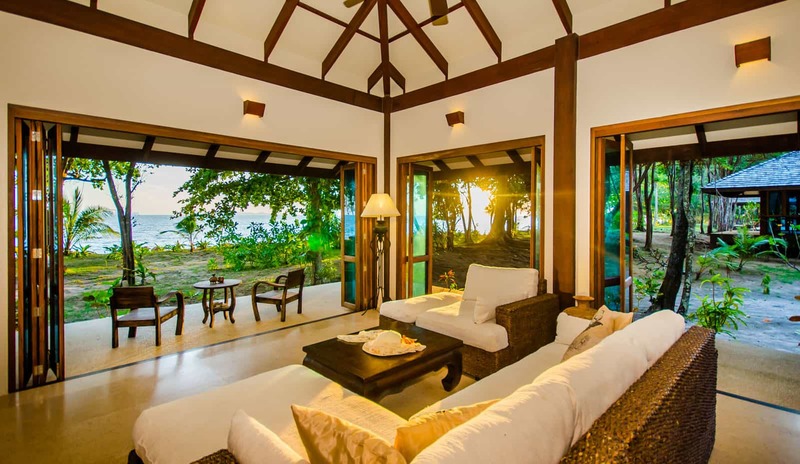 The two bedrooms are detached from the rest of the villa ensuring a high degree of privacy when desired whilst the villa's design also allows communal dining or leisure time together. 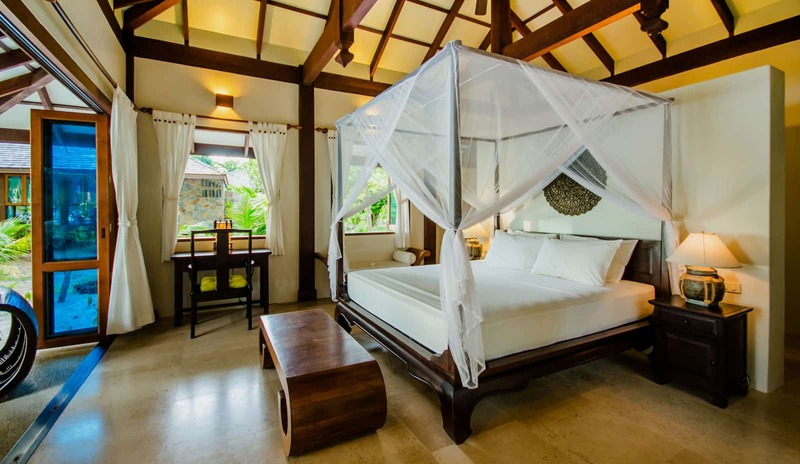 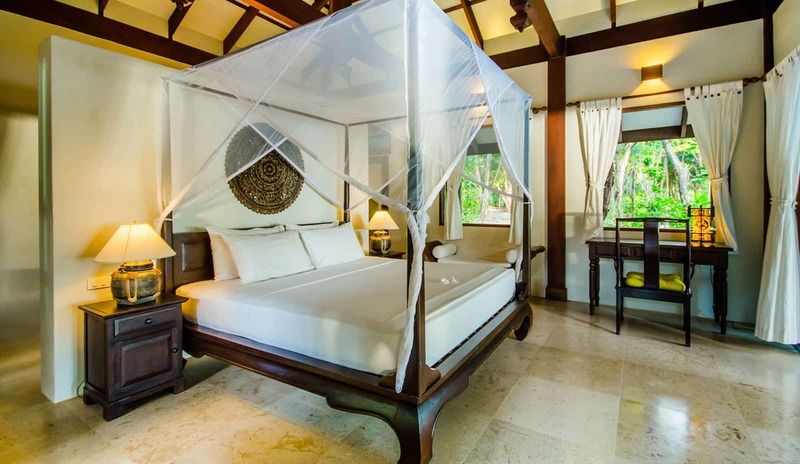 Each bedroom has an ensuite bathroom with an open-air double balinese style rain-shower and a "his and her" vanity counter. 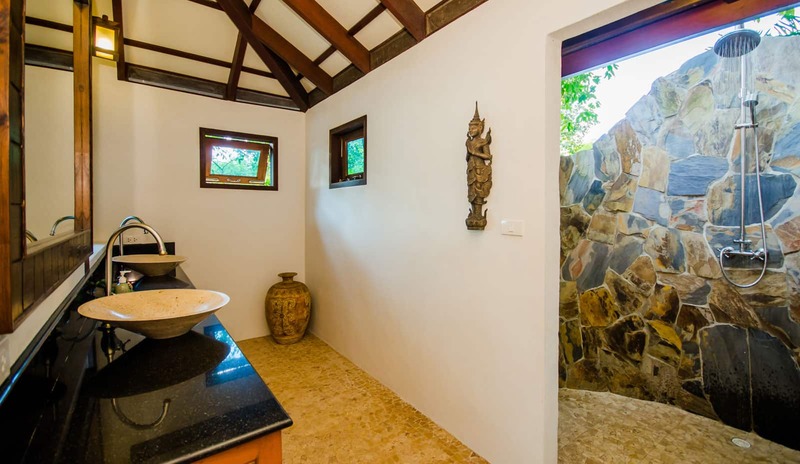 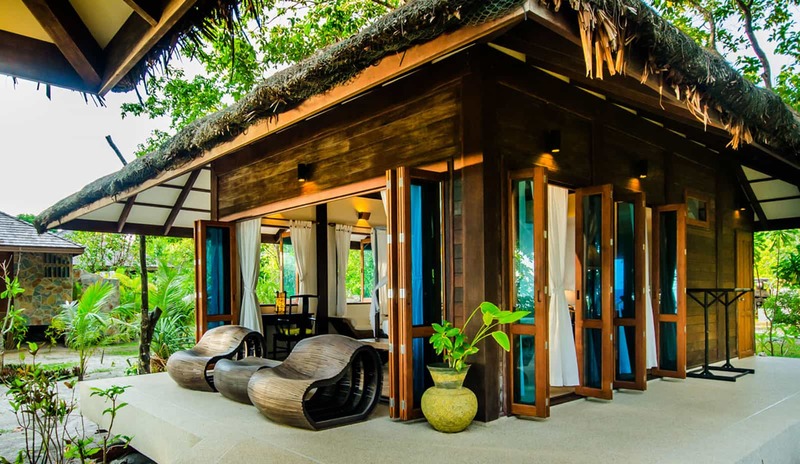 The villa is beautifully designed using lots of natural materials like wood and stone and intelligent architecture encourages plenty of natural ventilation throughout all areas of the villa which follows the eco concept of Koh Jum Beach Villas. 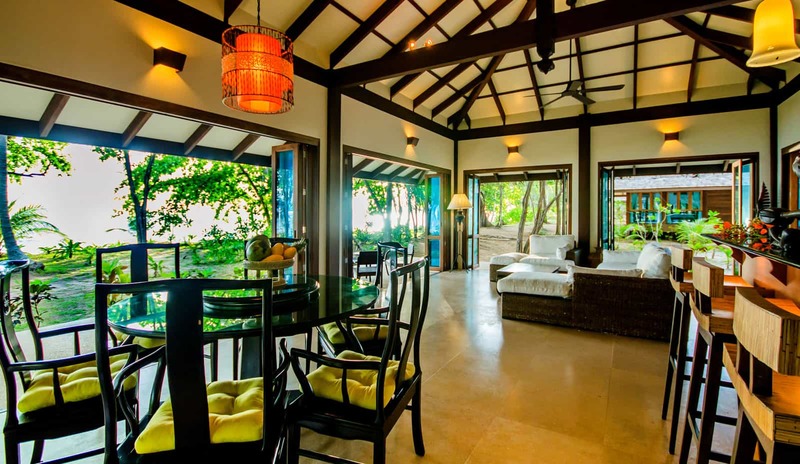 The large ceiling fans and natural breeze are a welcome feature when at leisure in your villa or at night when asleep. 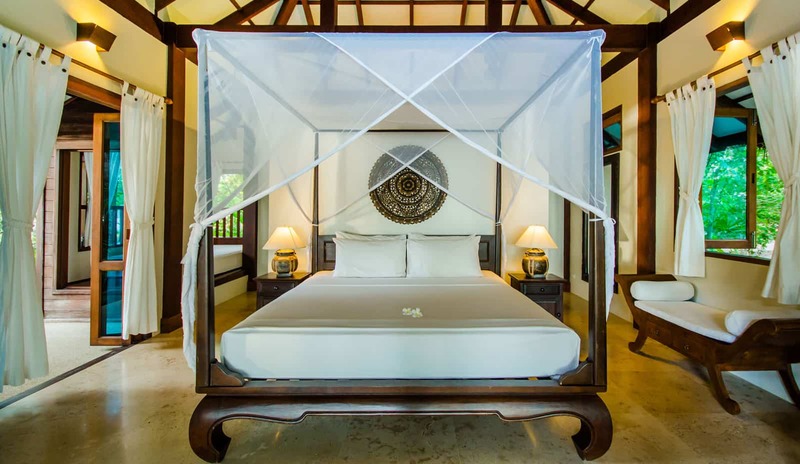 When the large ceiling fans and natural breeze are not sufficient or if you do not like to sleep with the windows and doors open the air-conditioning will help cooling the bedroom spaces in the evening assuring you of a good nights rest. 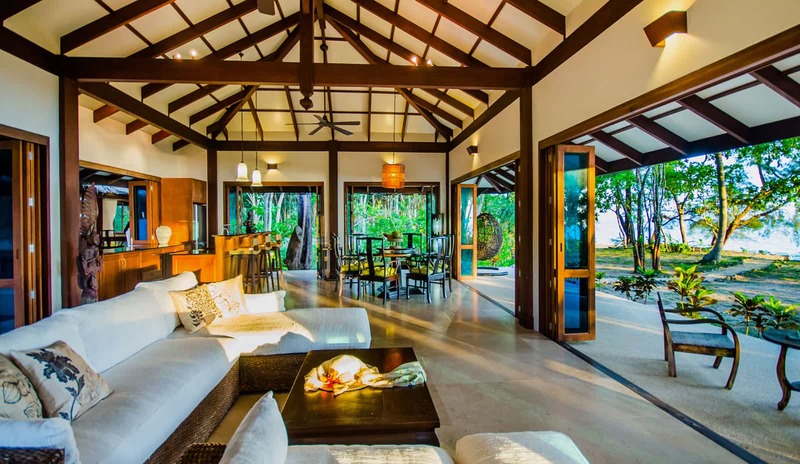 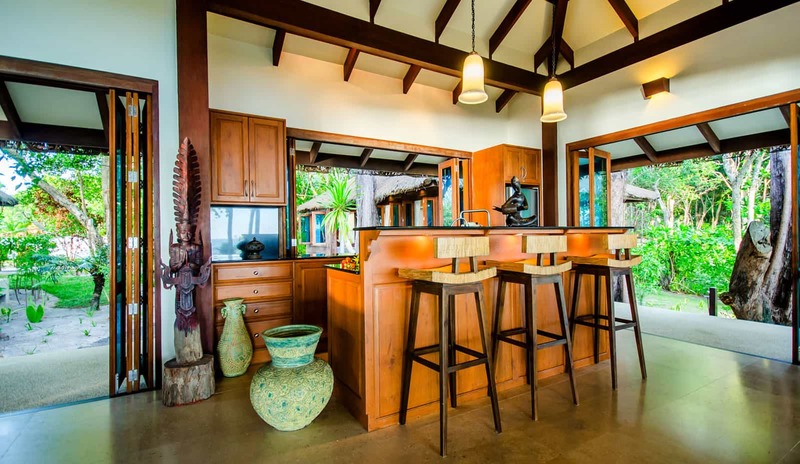 The villa has large folding doors and windows allowing a nearly 180 degree view out to the private gardens, the private deck and the beach and ocean. 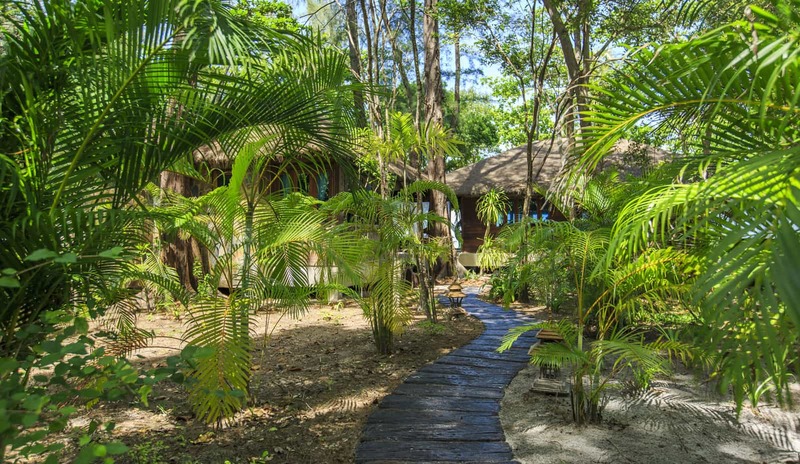 Take a few steps down from your terrace and you will be directly on the beach with amazing views of Koh Pu just to the right.